With all the details and obvious and all too suspicious "changes of opinion" on these projects. I am only left with one question. Was this approval process done just in time to give everyone in the Kauff Crew their HAPPY HOLIDAY bonuses? These scum never cease to amaze or disappoint. Let them have their fun as even they know THE TRUTH IS COMING and THE TRUTH will have a devastating effect come next election day. Keep doubting us ladies and gentlemen under the Kauff umbrella. Keep doubting all of us right up until THE TRUTH HAPPENS and all of you are kicked to the curb by the voting public. I agree with kennycb these low lifes approved something that was previously denied in years past all of sudden and miraculously gets the approvals despite prior adverse opinions and studies conducted in the past by these same so called professionals. Gee didn't that happen once before with the apartment complex down by the parkway when C.M.E. had one opinion on the project and limited it to three stories the all of a sudden four stories and limited fire department access all of a sudden was not a big deal any longer. That was another one that smelled like low tide in the summer time. Then again it is hard to differentiate between the smell of rotting fish and the smell of our local politicians. It is all the same to me. You wonder if Norman Kauff sat on both sides of this issue like he has done in the past? Then again with his rumored ownership of the Freneau project dead in the water. I mean Norman has to make a living somehow. I mean after as was pointed out by kennycb there are an awful lot of envelopes that need to be filled and slid under the tables around Aberdeen and IEI to, what was it Mayor Slob-el said that time, Norms *close personal friends*. I hope that term is soon to become Norms close personal co-defendants. That will suit me just fine. Do you think Norm puts on a santa suit and gets pulled around by Vinci, Drapkin, Slob-el and the rest of his henchmen? Just close your eyes and picture it in your mind. I am laughing so hard I am crying. Norm as Santa. That's a laugh. Obviously you have never seen Norm in person. he would not be anything close to a Santa. One of Santas elves would be more suitable and be fitting of a person of his low--life stature. I had also heard that CME objected to three floors and then suddenly there were four. And that the fire department was opposed until they got their new vehicles. Couldn't write about it, though, because someone had rifled through the file and there were many pages missing. Nor can you make an OPRA request without being able to cite the specific documents, which I naturally couldn't do. OOPS I goofed I had written a post that had Norman Kauff more of an elf then a Santa type of figure handing out the graft envelopes. Sorry for the goof. Keep thinking that way you idiots. We've got a few surprises planned and very soon that will be sure to please those of us whom you think are wasting our time. Keep thinking that way. SURPRISE! No one should count on Nicky M. for much. He sat there and took it in the a_ _ from Normy and now he feels slighted that he had nothing to bring to the election so he became Normy's collateral damage. Gallo on the other hand backfired in Normy's face and has now thrown a big knot into Normy's stomach Not to mention the election. Between now and then you can be sure Gallo will have much to say to help our cause. Gallo in combination with the truth that is very soon to become ****very public**** will have Normy running for cover and hopefully having to explain a few things to the feds. Nothing could make many of us happier. We will be the same people who are accused of wasting our time seeking truth, justice and the American way. You see Normy's America is filled with pilferage and thievery. Ours is filled with honesty and accountability. Normy hates that. Right Normy? It has not been said for some time and I almost forgot. The road calls. Next stop 16W. KENNY CB is right again. We all have to know that we are all is getting to Norman Kauff with our postings and our getting the word out around town coupled the embarrassing loss to Normans buddy "Victor *the MVC office was not a political payback for gifting the democratic party over $250,000.00 for various campaigns over the years* Scudeieri" in the last Matawan council election. Things are not looking good for our local democratic scum are they? Then again there is always the accomplishments of Vinny Vinci. Wait Vinci has no accomplishments unless you count how our criticism of the Gerard Avenue CME mess, finally pressured Vinci to do something after six months of dirt, water and worse which the area residents lived with while Vinci hid. By the way are they ever going to have that dedication ceremony of the King Vinci intersection at the intersection of Main Street and Washington Avenue? Many of us need to put the word out and put some pressure on Dave Samuels who all by himself controls the CME MAFIA. If any of you think that CME is a legitimate business that operates in a manner anything close to legal, you are greatly mistaken. Look it is simple who is the second largest political contributor for the whole state? I will save you the time it is none other than CME. I know. You cannot believe it can you. We need to look at the costs and payments to the contractor who left Gerard Avenue job, then came back to finish the job months later. And how the whole thing was the fault of CME. Did CME get penalized, sanctioned or have to forfeit fees. Wait for it...absolutley F'n not. Norman and the crew would never let that happen. Norman cannot disappoint *Don Vito* Samuels. Bend over and kiss Don Vito Samuels ring Norman. After all Norman you certainly make the taxpayers of Aberdeen bend over all the time. I too tell Norman F U, but I add happy holidays. Hopefully it will be the last one Norman is not in police custody or doing time in a nice jail facility somewhere. To all the rest of the Aberdeener fans. I and my wife wish all of you a safe and happy holiday. My wife just read my last posting and criticized me for all the mafia stuff. Sorry I started vacation today by watching the trilogy of The Godfather. I know the third one really sucked with that Coppola girl. I too wish all of you a safe and enjoyable holiday whether you be celebrating Kwannzaa, Chaunkah, Christmas or any other celebration at this time of the year. We can all be sure Norman will have a nice holiday season what with CME filling his stocking with ill gotten gains. There is not enough coal to be had for what I would like to put in Norms stocking. Happy Holiday once again to one and all. Just so everyone who may be wishing Norman Kauff a happy holiday he is Jewish. So to Norman Kauff who screwed every taxpayer in Aberdeen I wish you Happy Hanukah. I will go back to hating everything Norman Kauff stands for at the conclusion of Hanukah. Up on the rooftop click click click who is it. Its Santa Kauff sliding down your chimney to steal your childrens toys and your families liveliehood. Blake: perhaps you do not understand how Norman Kauff-- the head of the democratic party and his elves *council, proferssionals and more--steal from all of us. Through his *close personal friends* along with the Kauff controlled council and planning and zoning boards they give away this town in many different ways. Many costly ways. So when you look around and think where did all my money go and why can't I afford to live here anymore don't blame yourself blame Norman Kauff. As for the rateables you seek lets look at one of Kauffs most recent accomplishments. A piece of land in a commercial highway zone will now be built upon--houses or condos on Hwy.34-- and will it be the rateables you seek? No. Is that a normal condition. No. You see just like the condos at Windham and Wellington ---which Kauff and Coren got approved many years ago-- and not so surprisingly-- they just happened to own several units each as the project was completed--- you very seldom allow highway commercial property to be used for housing as that same type of property is normally a rateable with stores or the like on it. So the rateables you seek are not going to happen as Kauff is controlling the Aberdeen side and he is also involved or has hand picked the Attorneys the developer will have to use. That is how Norman rolls. Just like the same exact property owner of the Hwy.34 property who just so happens to own a huge piece on County Road. It was to be only allowed to become warehouses or storage years ago---surprise---housing allowed by Kauff. More kids in the schools at 12,800.00 per student. Taxes go up and Kauff dont care. Hes Kauff. Kauff does not care about any of us and this next election is the last chance we have to stop him and his elves from ruining Aberdeen for another four years. Just look at one possible huge thing that could have brought money into Aberdeen that sat empty right by me. The old American Can building. Until the last manager got here it sat vacant and decaying for the entire time Kauff and Coren were in control. Why? They were not making any money off of it. The last manager at least got the warehouse portion up and running and now it is a rateable. A rateable that pays taxes. It sat for over 20 years under Kauff. Why? Ask Kauff that question. Ask about his condos and how someone who controlled the approval process just happened to own several along with his hand picked manage. Ho Ho Ho in Kauffspeak just means ---more for Kauff. This is my first time responding but Blake you just got to know. Its Kauff its all Kauff. Kauff goes Aberdeen may recover. Looks like Peachtree is a student of the Aberdeener. Good! We all must realize that we are making a huge difference and day after day, week after week and month after month the residents of Aberdeen are learning about their town and it scum leadership. No matter what the BLAH, BLAH have to say more people are finding out. That is my Christmas present to Aberdeen. THE TRUTH is our present to Aberdeen and you have got to know it drives Kauff and the rest crazy. Merry Kauffmas Norman. You scumbag! I'll have to disagree with you on this one. Avalon has 290 luxury apartments and pays about $950,000 a year in PILOT. Let's do some "lazy math". 62 condos is little over a 5th, making that about $200,000. Except, these condos will be deeded as affordable housing so they're, at best, worth less than half. My guess is that the total tax revenue will be less than $100,000 a year. That's less than 0.25% of the taxes collected by Aberdeen Township. If no other expenses rose (i.e. schooling), the average homeowner would only see his taxes drop about $15 per year. We could save more than that by just forcing CME to bid on its projects. As for Mayor Sobel's insistence that the condos won't attract children, these aren't luxury condos like the Avalon, these are affordable housing units. I don't know how many kids or special needs students they'll have and neither does the mayor. In short, this development won't lower your taxes. The only ones making any money on this will be Kauff and the boys. The taxpayers will lose because of the funny math that Kauff and his people will concoct. Just remember it is roughly $13,000.00 for the sub par education every child receives in this school district. That is right I said sub par education All you have to do is look at the test scores going back years to understand the sub par statement. So just remember to ask Mayor Sobel why age restricted will not work. That is the plan subject to change in the somewhat Kauff owned area of Freneau. That is unless Kauff and the boys need some campaign cash. It is all about the money is it not? To all of our christian bloggers I wish you a happy holiday. I LOVE NORMAN I LOVE NORMAN. NORMAN ROCKS NORMAN ROCKS. GO NORMAN GO NORMAN. WOOHOO WOOHOO NORMAN'S GREAT. YIPPEE NORMAN!!! Norman Kauff is and will always be a scumbag. He should be crucified publicly in a town square, if Aberdeen had one that is, for what he and his cronies have done. Most have no idea what he has cost this community in many different ways and a SICK like the previous idiot deserves what he gets and supposedly loves and admires. Once again the BLAH, BLAH, BLAH and that type does little to shield Norman from THE TRUTH. THE TRUTH IS THEY ARE WORRIED. THE TRUTH IS THEY KNOW WE MAKE THEM VERY UNHAPPY. I am continually amazed at the hatred for Norman Kauff. I love being amazed. Keep it going all the way to election day. Wanted: Position for political scumbag who raped the citizens of numerous municipalities, pilfered the taxpayers accounts ,excelled in cronyism and political favors yet somehow was never elected by the people for the people who did perish under his reign. Who ever said dictatorship wouldn't work in America? THE TRUTH IS COMING ! A TALL GLASS OF ARROGANCE AND YOUR MEDICATIONS TO FIGHT OFF ANY GUILT NORM MAY HAVE FOR RUINING THE LIVES AND FUTURES OF SO MANY UNDER YOUR DEMENTED CONTROL. HAVE TO GO TIME FOR CHURCH. I HOPE YOU HAVE ENJOYED A LOOK INSIDE NORMANS WORLD. NEXT TIME I WILL GIVE YOU SOME INSIGHT ON NORMANS LUNCH MEETINGS AND HIS FAVORITE PLACES TO ENTERTAIN AND SLIDE THOSE ENVELOPES ACROSS THE TABLE. The last posting from KennyCB was F'n hilarious. If Norman would only use his powers for good instead of evil. Fat chance. Good doesn't pay the bills in politics in NJ. These are a few of my favorite things about Norman Kauff. All I can say is F NK. Looks like someone had a boring afternoon and needed to embarrass themselves. I deleted the above comments that constituted graffiti. The graffiti is just another example of the frustration that is now taking hold among the Kauffkins. Very soon they will turn on each other when THE TRUTH *they are waiting to see it for themselves you can be sure since they are very afraid of what else we know about all of them* shines the light on them. Like my dad used to say *expect it and it will happen when you don't expect it* all of the time. All I can say is Norman and his henchmen will have an awful lot to explain around Aberdeen and elsewhere. What I love is that we have it all ready to go and they are getting frustrated more and more everyday waiting for it to happen. We have plenty of time and hopefully they will do plenty of time. All they have is expectation and angst. They make us pay and now we make them pay. In time waiting for THE TRUTH. I heard the best joke in my life yesterday.I would like to share it with all of you that according to the Kauffkins are supposedly wasting our time. The Mayor of Aberdeen once said that AS A PUBLIC OFFICIAL *here it comes get ready* AT THE END OF THE DAY ALL YOU HAVE IS YOUR INTEGRITY. Isn't that the best joke you ever heard? The joke is Slob-el believes it. If Slob-el doesn't get awarded a NORMAN KAUFF patronage job at the county there is always Las Vegas. I am a ,little lost. Where are the Centex homes supposed to go? Centex townhomes located on Rt. 34 on land that should really only be used to allow continual ratables to help with lowering taxes. But not this time as it seems Kauff has allowed his good buddies the Ciffelli's to get all the approvals to build townhouses on both properties they just happen to own at the same. It also gets sold easily and looks legitimate with the idiotic COAH requirements. What happened to only office space or retail along highways to help the taxpayers? Wait just a Norman Kauff minute it has also been said that the similar highway property once before got used for townhouses that our former town manager and the same former town attorney Norman Kauff had ownership of multiple units in. Just a coincidence you can be sure that the same two men who controlled all of the approvals and density levels ended up owning multiple units. What about quid pro quo or conflict of interest? Must be time again to help Norman and his friends instead of the taxpayers munder the guise of COAH requirements. As for Centex on County Road that one was supposed to be approved for storage units only at one time. Now it seems it is time to make hay and Norman Kauff and the others want to cash in and screw the taxpayers once again with their questionable school tax-math equations that screws the school district and the taxpayers, just like Norman Kauff planned to do with Aberdeen Forge before that hit the skids with the now defunct Kara homes. That one would have set Norman and the crew up nicely you can be sure. My brother works for Hovsons in Freehold and he told me the money for that one could have been $50 million(+ -) dollars in profits even after paying Norman and his supposed professionals their shares. People do not be shocked political payoffs still happen every single day. Whether it be asphalt jobs, engineering,town planner, or any developers seeking to build, the money flows to the political powerful and their minions. That like said so often is new Jersey pure and simple. New Jersey deserves to be a national joke. We let it happen. I don't understand if there is so much information on how the town council is crupt why hasn't the feds stepped in? I don't doubt that it is true. Lord only knows that this state is a mess from the bottom to the top. I have lived in Aberdeen for 8years,my husband has lived here all of his life,I have four childern in the school district and two that have graduated.I have seen the school system get worse over the years. I wouldn't mind paying the high taxes if our childern were getting the best education. This area of Monmouth county is very ideal we are close to the city and beaches at the same time but the township is making it so hard to live here. I hope that this election we all go out and vote for a change. We can not afford to keep them in office anymore. The Feds haven't stepped in because 90% of the stuff which is written on this blog is nothing but "rumor" and doesn't have any basis in reality. Pretty much everything here is written by people who have no true understanding of what they are talking about. They take bits and pieces of information which they think they understand and then twist them into corrupt occurances because that is what they are looking for. If you dedicate yourself to looking for a conspiracy, you will always find one, even if the facts dictate otherwise. If Aberdeen was truly as corrupt as this BLOG reports, the Federal Prosecutor's office would have shut down the township years ago. This entire blog about Centex is a case in point. Everyone keeps saying the Council approved the project. That isn't even remotely true. Despite everything said here, the project HAS NOT been approved. I repeat - the project HAS NOT been approved. All that occurred was the approval of sending an affordable housing plan to COAH for review. Even if COAH were to approve the plan, that still wouldn't equate to permission for Centex to build. Centex would still need to go before the Board of Adjustment to obtain their zoning approvals. Nothing has changed from the status of the original memorandum written by Coppola. Everything said in that initial memorandum which criticizes the project remains true. Since I am anonymous, I know you won't take my word for it, but feel free to go to the Township and request copies of the approved Centex plans. They won't be able to give them to you, because there are none. I know, I tried. The project most definitely has not been approved. This is all a myth created by this blog. You have to learn not to believe everything you read. Sorry, but I fail to see the point you're making. I stated the town council has approved the project. You say, no, the council has only approved a plan calling for the project's development. Granted, your statement is more accurate but, in this context, what's the difference? The council has chosen to support a project that is contrary to the town's best interests. How can you argue that Coppola hasn't flipped-flopped from last year when his positions appear to contradict each other? One other point - pay-to-play is not illegal. There are many forms of corruption that are not illegal yet seem commonplace in this township. I've not accused anyone of criminal activity. The point being made is "Your original posting is highly misleading." As you even say, the anonymous poster's statement is more accurate than yours was. The truth is, the project has not been approved by anyone. All that has happened is the submission of a COAH plan that anticipates the project. There is a huge difference. Aberdeen's Zoning Ordinance has not been changed. It is the Zoning Ordinance which is the only thing which matters where building is concerned. A proposed COAH plan does not equate to a change in zoning. As the zoning ordinance presently reads, the Centax plan is still non-conforming and still requires all of the variances stated in the original Coppola report. The reason it has been said that the findings in Coppola's original report haven't changed is that the first report was written from a Zoning perspective. From a Zoning perspective the project is highly non-conforming and pursuant to the existing zoning would be substantially harmful. The second Coppola report is written from a COAH perspective, which has absolutely nothing to do with the zoning ordinance. From a COAH perspective, the project might very well make sense. COAH and ZONING, while having some relationship, are not the same thing. I know you might not understand this, but its the reality. Its like comparing apples to oranges. So, I promise you, Coppola's opinions are not inconsistant, because they are looking at things from completely different legal perspectives. In order for the Centex proposal to conform to the Township's zoning code, the Township Council would have to amend its zoning ordinance. Its irrelevant what some COAH plan says. Just because a COAH proposal has been submitted, doesn't mean the Council will ultimately change the Zoning Ordinance to enable Centex to build. Until that happens, your blog is entirely premature and reaches a conclusion which is more based upon a misunderstanding of the law than anything else. Sorry to break the truth to you. Perhaps you should start consulting an attorney before posting these factual conclusions on your part. It really does an injustice to the community when false information, or in this case "half-truths" are spread. I know ... now you can start the "zzzzzzzzs" or call me a "kauff lover" or whatever else you choose to do whenever someone cites evidence that counters what has been said here. Never mind that I'm not asleep, nor did I ever vote for anyone Kauff supported. I just don't like to see inaccurate information being spread. Best of luck! Either Coppola supports the project or opposes it, you can't have it both ways. At the same time, the township has communicated its intent to proceed with the project by including it in the COAH plan. How is the zoning board going to deny a zoning change once the council has already committed to COAH to build the units? Again .... you just aren't getting it. No offense, but your posting displays your complete ignorance of how the process works. You write "How is the Zoning Board going to deny a zoning change." A Zoning Board does not have the power to approve or deny a zoning change. The power to change the zoning ordinance lies solely with the Township Council. The Zoning Board does not play any role whatsoever in drafting, approving or enacting a zoning change. Next, Coppola doesn't support or oppose projects. As the Planner for the Zoning Board, he reviews applications subject to the provisions of the Township's Zoning Ordinance. How he feels about the correctness of the Zoning Ordinance is completely irrelevant because, as I said before, a Zoning Board doesn't have the power to change the zoning ordinance. The Planner doesn't tell the Zoning Board whether they should ignore the Ordinance. All he can do is say, "The Ordinance says this, and in light of the ordinance, this project does not comply, etc..."
In the example you give, you quote Coppola as saying "no residential uses are permitted in the HC Zone." THAT IS A TRUE STATEMENT! Its not an opinion. It is a fact. In Aberdeen, it is a FACT that residential uses are not permitted in the HC Zone. The only public body which can change this truth is the Township Council. The Zoning Board has no say or input on the issue. Again -- I implore you to please learn how the process works and attempt to understand the difference between a COAH plan and the Zoning Ordinance. People who read your blog tend to believe everything you say as being the gospel. With such power comes great responsibility. I just ask that you take the time to learn the truth before stating things as "fact" which are nothing more than your "belief" and very often isn't even true. This is why I provide my sources - so people can argue on the facts. Still, based upon my understanding, the township has signaled its intent to permit Ciffeli to build the projects. With all due respect, I have no doubt, and I completely agree with you that the adoption of the COAH plan signals an indication the Township Council plans on rezoning the property in question so as to allow Centex to build its project. That's pretty obvious, even though the zoning apparently hasn't been changed yet. However, that wasn't the emphasis of your blog. My issue with you is that your blog attacks the Town Planner Richard Coppola as being inconsistent in his opinions, which the above writer has just demonstrated as not being the case and also takes personal jabs at the Planning Board Attorney Michael Leckstein who the above writer has also demonstrated is not relevant to your alleged main point. If the point of your blog is taking issue with the Township Council's intent to rezone the property, then I'm fine with that because the only body which can do the rezoning is the Township Council. Its a completely legitimate political issue for you to make. However, when you start arguing the Town Planner and Planning Board Attorney are somehow involved in this endeavor and being inconsistent in their findings, when neither individual has been inconsistent nor have any power or authority to change the ordinance, well that just isn't right. If you are going to disparage individual people in your blog, then I agree with the other writer -- you should learn your facts first before putting fingers to keyboard. You should learn from your experience with Michael Gross, posted in an earlier blog, that professionals are guided by what they are handed by the bodies they represent. They don't create policy nor do they have any voting power. In the case of Richard Coppola, his original memorandum cited the facts of the zoning ordinance, nothing more nor nothing less. That report was written in a zoning context, the new report was written in a COAH context and two issues are not the same. No inconsistencies there and you probably owe Coppola an apology for the tone in your blog. Stick with the issues you are arguing and stop disparaging individual people when you apparently don't really know the facts behind what is happening. Ah, now I understand the argument. You feel Coppola's public pronouncements are his personal professional opinions and I believe they are a reflection of the council's desires. I have no issue with Coppola or Leckstein as professionals. However, it's my understanding that their public statements and positions are in accordance with the council's wishes. I can't think of a single instance in which they stated something in the public record that was contrary to the council's plans. It's my understanding that Leckstein informed the township in private that we would likely lose our challenge to the cell tower but that the township wanted him to use every means to fight so as to show the public that the council was fighting for them. 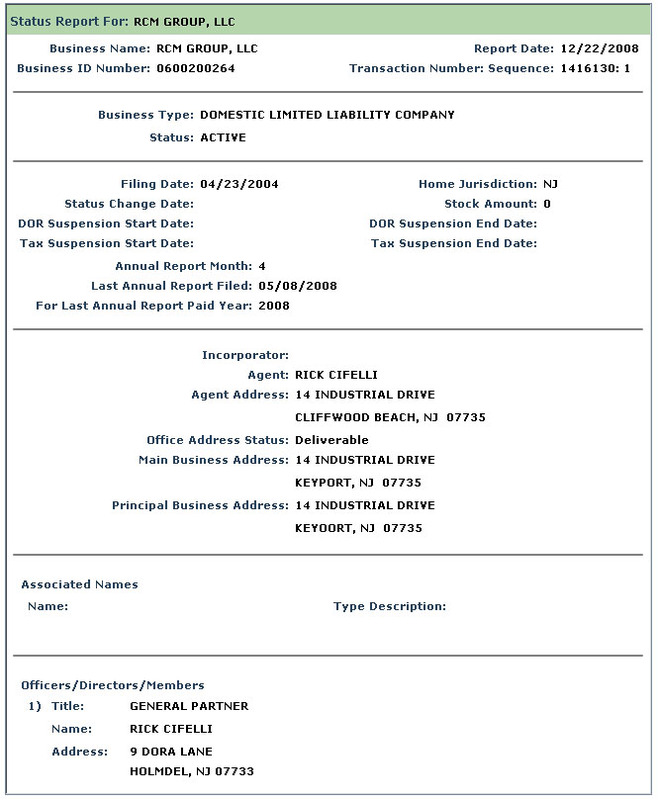 In November, 2007, Coppola's objections to the zoning changes were posted on the township website. Then, in August, I was given private assurances by a council member that the developments would never be approved. Then, a few months later, the applicant's name changes to Ciffeli and Coppola suddenly supports the project in the name of COAH, with the council's blessing. Nobody, from the council to the professionals, referenced any of the prior objections. I believe Coppola was told the council wanted these projects and dutifully supported them. Again, my attacks on Coppola and Leckstein are based solely on the belief that their public statements reflect the council's positions. I can't think of a single instance to the contrary. As for their professionalism or expertise, I have no problem whatsoever. Heck, ignoring the over-billing, even CME does a competent job. I am not the original anonymous writer (from 4 posts ago), so my issue may not necessarily be their issue. You write: "You feel Coppola's public pronouncements are his personal professional opinions and I believe they are a reflection of the council's desires." It is my opinion that the opinion's he gives are probably the opinion's of his client which would be the Township Council. You say you have no issue with Mr. Coppola or Mr. Leckstein. If that is the case, why do you continually bash them personally. What are they supposed to do if they disagree with the Township's positions? Should they refuse to work for the Council and quit? Or should they do their best to protect their client's interests? It would be one thing if the issue they were being asked to promote was illegal, then they would both have ethical duties to report the matter to the authorities. When the issue is gray however and rise from a more political source (such as the cell tower case you just referred to), I personally think we are better off having them advocate the question to the best of their abilities rather than having them walk off the job and leaving us without any professionals. We live in a political word. Disagreements happen. Feel free to take as many jabs at elected officials you wish, they are elected after all and subject to public commentary. I just take issue when you start personally attacking an individual who, by your own admission, you have no actual qualms with and who you apparently believe are actually giving proper advice. With your most recent comments, your constant personal attacks make no sense. I'll acknowledge for the sake of this message that I happen to be a licensed Professional Planner, so I happen to have first hand experience with having clients whose goals you might not always 100% agree with. How many of us are fortunate to have jobs where we always agree with our bosses? I doubt there are many. So I hope you can appreciate why I am reacting to your personal attacks against Mr. Coppola. It just isn't right. If your beef is with the Council, then keep it with the Council and stay away from personal insults against the individuals they employ. By the way - if CME is really overbilling the Township, there is no excuse for that. In my opinion, allegations of overbilling by a Township professional should be a topic of discussion. Absent that, or some other allegation of impropriety, I don't feel personal attacks of the Township's professionals is appropriate if they are apparently doing a good job. I think I understand your position. In the future, I'll try to be clear that my beef is with the council and not the professionals who have been hired to speak on their behalf.